I’ve taught many introduction courses in Chinese. Each time, I’ve felt the lack of a beginner-friendly radical list. I often tell students that learning character components is essential, that it’s a long-term investment that will pay off several times over the course of their Chinese studies. I then show them some of the most common radicals. Beginners often find it hard to distinguish which components are common and which aren’t. Sure, you can use the “if you see it more than twice, learn it” rule, but I think we can do better! Curiously, I have been unable to find a good list of the most common radicals. Before you post a comment telling me that there are many, hear me out. If you don’t want to here me out and just want my list, click here to scroll down. The most important difference between my list and the others is that all lists sorted by frequency that I have seen (such as the article on the Kangxi radicals on Wikipedia) are based on data from a very large volume of characters. If you base such a list on the 50 000 characters in the Kangxi dictionary, you will end up believing that bird 鸟/鳥 (the first character is simplified Chinese, the second is traditional Chinese; learn more here) is one of the most common radicals. If you only take the most commonly used 2000 characters into account, 鸟/鳥 only occurs nine times. That means it doesn’t even make the top 100! Thus, most of the 750 occurrences of this character in the Kangxi dictionary are not in characters you need to learn as a beginner. The list I have compiled here is based on the frequency of the radicals among the 2000 most commonly used characters. This means that all these radicals are essential. Almost all occur in at least ten characters, most of them in more than that. This means that as a beginner, you can learn all the radicals on this list without fearing that you’re learning things you don’t actually need. It’s meant to be a solid foundation on which to build. The 100 most common radicals as a PDF (suitable for printing). There are two PDF versions available, so if you don’t like that one (created by Markus Ackermann), you can try this version, made by Peter Lee. Thanks for creating the PDFs for me, guys! The 100 most common radicals in .txt format (for importing to other programs or for easy editing or viewing). If the Chinese characters are not displayed properly, try this file instead (the first is UTF-16, the other UTF-8). The 100 most common radicals in .anki format (this is the old Anki format, if you’re using a new version of Anki, you can just use this link, if you want better formatting of the cards, please refer to this text file, created by Gregory). Simplified – This shows the simplified version of the radical as it appears in most characters. Traditional – This shows the traditional character as it appears in most characters. Variants – This shows other common variants of the same radical or the original character. Meaning – This is the basic meaning(s) of the radical in English. Pronunciation – Pinyin. If written in brackets, the character when used on its own is not part of the 2000 most common, which means you don’t need to learn the pronunciation! Even native speakers don’t know some of these pronunciations. Examples – Five examples chosen from the 2000 most common (simplified) characters to show you the radical in context. Comment – My notes for the radical with extra clarification and warnings about similar radicals. Colloquial name – The name Chinese people use to refer to the radical. Beginners can ignore this, but being able to talk about Chinese characters in Chinese can be very helpful! 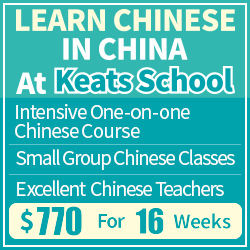 As a beginner, you can use the list to boost your understanding of Chinese characters. Learning these 100 fairly simple characters will enable you to recognise parts of almost any character you will encounter. Of course, you won’t recognise all parts of every character, but it is a good start! 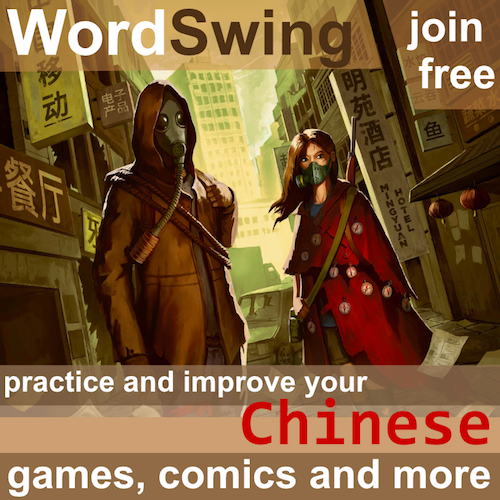 Learn to write characters online or on your mobile device. If you want a good tool to learn characters in general, I suggest using Skritter. It’s the only tool that gives you instructive feedback and requires you to write correct characters. It also uses spaced repetition, making learning characters much more efficient. If you want to study this radical list on Skritter, you can find it by clicking here. As a teacher, you can use this list (or a section of it) to introduce characters and radicals. You can also provide it as extra material for students who want to learn more than what is required by the curriculum. Even if you don’t teach all the radicals yourself, you should at least make it easy for students who wish to do so. Chinese is a wonderful language to learn, partly because it can be hacked so efficiently. 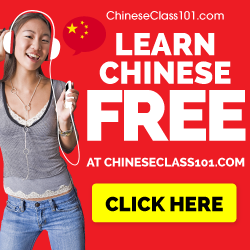 Learning Chinese characters by pure rote takes huge amounts of time, but by learning basic components (such as those in this list), you can make learning characters both meaningful and fun. Instead of simply writing a character over and over, take a close look at the parts and find creative ways of linking them together. Is it necessary to learn to write Chinese characters by hand? 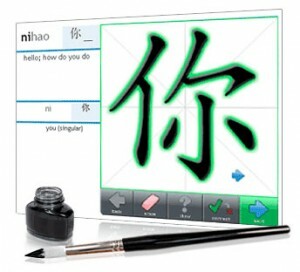 Is it necessary to learn the stroke order of Chinese characters? This list isn’t perfect. In essence, there are two things I would like to do. First, even though this list is weighted according to character frequency (I only looked at the 2000 most common), it’s not properly done. The best solution would be to look at each character among the 2000 most common and assign each character a frequency. This number would then be taken into consideration when determining how common a radical was. Thus, the 亻 in 他 should give a higher score than the 亻 in 伪 (僞). Second, radicals aren’t necessarily the most important building blocks. A radical is really just the part of a character under which the character is sorted in dictionaries. This means that there are other character parts which are really common, but which aren’t radicals and that even if you learn a radical, it’s not necessarily the radical if it appears in another character. I used radicals for this list because it was easier to do and there is no commonly agreed on way of listing components in general. There are many other components that normally carry information about how a character is pronounced. I have written about phonetic components already (Phonetic components, part 1: The key to 80% of all Chinese characters), but I haven’t been able to produce a list similar to this one for sound components. The ideal solution would be to have two lists, one for components that carry meaning and one for components that carry sound, but that’s a project still in progress. Below, I have tried to squeeze the list into the format of this article. It’s not likely to look good on a small screen, so if you’re on your phone, either use one of the files/links provided above or switch to a computer. Your observation that “Chinese is a wonderful language to learn, partly because it can be hacked very efficiently,” is something that I find more and more true the more time I spend reading about it. I really which I had known all these strategies several years ago before I learned Chinese! This is partly why I enjoy writing articles here on Hacking Chinese! I write about things I know now that I wish someone would have told me about years ago. If you have any particular hacks, don’t hesitate to share! Example of the correct usage: “If I HAD asked my friend, he WOULD HAVE told me years ago”. Interesting point, though, I haven’t noticed this before. Since I try to stick to BrE in general, your comment definitely makes sense, thanks! Thanks for your reply. I wouldn’t like to presume you weren’t a native speaker, even though your name doesn’t ‘sound’ American/British/Canadian, etc, without having it confirmed by you first. I’d guess that you’re Scandinavian of origin, perhaps Norwegian? Not sure, though. I’m an English teacher – and, yes, I am from the U.K. I think that the ‘would have told (or other verb)’ may be deemed ‘acceptable’, as you state – perhaps by North Americans, perhaps by others, too -, but I’m pretty sure that, in a strictly grammatical sense, it is incorrect. The meaning is clear, through context, but it is not correct. I’m not sure whether you watch football (‘soccer’ – eeekkk! ), but many English footballers will say such things as, “He’s went in on goal” (He approached…. ), or “We was having a bad run recently” (‘were’), or, from my own region, near Liverpool, “Youse lot are a stronger team….” (‘You are a….’). These are acceptable as dialectal variations, perhaps, but are grammatically incorrect in terms of ‘standard’ English. Thanks again, and congratulations on the Web-site. Most informative! English is spoken correctly in many different countries. As such there are different dictionaries that apply to the US dialect, British dialect, ect. Most languages actually have multiple different dialects and one might say it is a little over-reaching to say that there is only one correct version of a sentence. I must agree with Danny. More so, because we’re on a website that’s purpose is to facilitate the teaching of a foreign language. Those studying other languages very often hear the term dialect. Dialects may be easy to disregard if you’re just an English teacher, but while learning another language one cannot forget dialects and the fact that even popular mistakes can be given credit if they’re supported by a dialect. After all, languages are a living thing, changing constantly and growing with each generation. I don’t mean to say that proper English has no place, I just mean to say that both have a place. God, what a frightful pedant you are. Actually, he’s not a real pendant, just someone trying to pass off as intellectual. ”Wish + past perfect” is perfectly acceptable, sure, but ”wish + would + past participle” refers to ‘complaints’ regarding past events. Thanking for making the effort and and giving this radicals list to us. I think it’s very useful for beginners to learn the radicals, something my first Chinese teacher (in Finland) never made us to do. Also thank you for adding the colloquial names of the radicals, that’s very helpful for me because I only know a few of the names. Is there another way to download this list? Thanks. I have added instructions for how to get the list to display properly. Your browser is probably trying to view this in a character set other than Unicode. If you use IE, right click and change encoding to unicode. In FF, go to view and then character encoding and change to Unicode. Other browsers should work the same way. If this doesn’t help, let me know! It really should work, though (it does for me on other computers). OK I now have a folder of sever files on my desktop. And I just downloaded Anki. I am trying to figure out the correct file to Anki. Great informative content as usual. I have some content / tools (e.g. frequency search) that might help you with this lists’s future plans. Send me a note. Great website! Super inspiring, I absolutely love it! About the files, the anti file above downloads ok to my Android phone, but it seems to be a text file, not an anki file, and will not open with anki on my phone. Any idea why? The easiest thing to do is download the deck from within Anki. 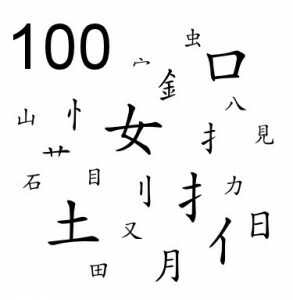 It’s called “The 100 most common Chinese radicals”, you should be able to find and download it without problems. Let me know if this works, I just uploaded it. Well said Olle. My college in the US forced intro level students to learn roughly sixty radicals during the first week. I hated it at the time since I thought they were essentially characters that I would never write, but it has improved my written Chinese immensely since. Unfortunately not all programs are like this, especially here in Taiwan. Awesome Ollie! Thanks! I went the Shida route for six months a few years ago and realised there was a huge hole in the way that they taught characters to beginners. Decided recently to begin serious study again. Thought about the way that my kids talk about characters when they’re asking how to write something, and came to the conclusion myself that I need to learn radicals. Also came to realization by myself that all the radical lists I could find were radically flawed in some way or other. Have been learning the 214 from Wiki, but know that many of them are unnecessary to me, and many of the meanings given don’t match modern usage. So good to read this and find your list! THANKS! Thank you very much for making a list of the most common radicals. I have downloaded the Anki format file from the link you provided, but for some reason I can’t see the whole radical. The right part of the radical is being cut off for some reason, so I can only see about 70% of it. Any idea what could be wrong? This is almost definitely something wrong with the way Anki is configured rather than the list itself. I suggest you use the help provided here. That link didn’t work for me. It doesn’t for me either, so I’ve updated so that it now points to the main help site for Anki! I hope this helps. Characters would not display when I downloaded my kids’ Chinese homework until I did this. Hi Olle, first off thanks you SO much for all the help your site provides! On some of the radicals, the tone, meaning, or even pronunciation that I have learned is not listed. For example on 厂, my tutor taught me chang3 – factory, but in the 100 most common radicals list it is han4 – cliff. On archchinese there is also no mention of han4, just chang3. I was just wondering what the difference is and why you chose han4 (I am a beginner, this is a genuine question, not a “you are wrong” type of statement). Thanks again for everything you’re doing for the community! This is slightly complicated, but in essence, there are two 厂. One is the original radical, which is indeed pronounced han4, although my guess is that almost no-one uses that reading (that’s why it’s written within brackets). The radical is the original semantic part of the character. Then there is the simplified character 厂 (traditional: 廠), which is a character pronounced chang3 as you suggest. Your teacher taught you the character, not the original radical. They happen to look the same in simplified Chinese. However, you don’t need to know this. You don’t need to learn the pronunciation of any radicals unless they are also common characters, in which case you will encounter them in texts you read or language you hear. Thanks for that nice article! I stumbled upon it by googling for a way to find out, what radicals are used in a piece of vocabulary. I will go and try learning those radicals; my teacher already encouraged me to do that to improve my writing skills but by now I just couldnt overcome my laziness. It is so hard to invest into future learning and not just learn vocabulary right away. But I will definitely try now. However I was not successful googling, so here is my question: How can I find out, what radicals are used in a character? E.g. 空 has the radicals “mian” and “gong” in it. How can I be sure that the rest of the character is not a radical but just ornament? What I am looking for is a dictionary that shows me not only the translation for a character but also classifiers+radicals. Do you know of such a thing? I posted a number of useful dictionaries in this article, several of them do what you’re after. I typically use Zhongwen.com (traditional) and Hanzicraft. That site appears to be offline. Any idea where it went? Learnm.org in Bills link above returns a server not found for me. As part of a new project I’m working on I took this list and put it on a web page here. Each radical links to its Wikipedia page as well. Great article. I can see the importance of learning radicals. Any chance that someone has this in Pleco format? At first – thank You so much for giving me hope for learning chinese characters and actually REMEMBER them. I used to wirte every single character like many times until lerning it by heart. I was all happy but then, after writing 50 more characters I realised I already forgot the first one. Then learning it again, then forgot. Vicious cycle. But for now – as a fresh Sinology student – I have to memorize ALL kangxi radicals(radical, meaning, number and pronunciation) and have no idea how to memorize them! Especially those which are not really useful and it’s hard to make up connotation between the character and it’s number(and pinyin). And once again – thank You so much! When it comes to the very basics, sometimes you just have to spend some time and write the radicals enough to commit them to memory. For instance, you might remember 火 because it actually looks a little bit like a flame, but it’s not a good idea to try to use mnemonics to learn how to write this. I generally don’t use mnemonics for very elementary parts, but use lots of mnemonics for combining these parts. I think there must be some terminology confusion going on. A single character only ever has one radical and that’s the semantic part that is used to sort the character in dictionaries. It’s usually related to the meaning of the character (rather than the sound). So, if you take a word like 掛號, there are only two radicals and I don’t really understand what you mean by “radicals in order” and “the exact list”? HI! the link to nciku doesn’t seem to be working… or is it just my computer? Thank for notifying me, they must have changed their article structure or something. This link should work. So grateful to have this list for our 101 days challenge! It’s so useful to systematically learn. Thank you! 2. Improve the styling on the card. Espiecialy the font and font size used for the Chinese is not the best. I have attached my own styling that works well form me. It also makes it more customizable. Some users at Anki have complained about the Chinese font size without realizing that they can customize it themselves. Editor’s note: Because of display problems, the code provided here has been moved to a separate text file. I definitely agree that the list could be improved. In fact, I have been thinking about doing something much more in-depth about character components which would actually be more aimed at learning characters rather than just listing the radicals. I don’t use Anki much at the moment and updating lists is a bit of a hassle in Anki (or it was last time I checked anyway), but I will update it next time I check through decks I share. In the meantime, I’ll include your instructions in the article so at least people who don’t know how to achieve that on their own can still get it to work. Thanks! Just wanted to let you know that I had some fun with perl, awk and LaTeX, and created a nicely typeset PDF from your table of the most common radicals. All radicals and example characters are hyperlinked into http://www.archchinese.com. The PDF and everything to recreate it is up on . I wasn’t sure about the license terms for your data. Would you be ok with CC-BY-SA (creative commons-attribution-share alike)? The final PDF is here. I have added your PDF to the main article along with another PDF provided by another reader (Peter Lee)! Thanks! I had that on my to-do list, but it risked remaining there forever, so I’m really grateful you took the time to convert this to Skritter, I will definitely share! Hey, this looks wonderful. I was wondering if there were anyway to get this as a file which is compatible with Pleco? What a lovely site! Härligt material! Very useful tool. One question though: the font on Anki on my computer isn’t the best for reading characters. Anyone know how to change the font on the hanzi to make them easier to pick out component parts? As a native Chinese speaker I have to point out a mistake in the 100-radicals-markus.pdf. It states that 罒 is a variant of 目, which is not true. The 罒 is in fact itself a variant of ancient Chinese character (now also used as the simplified Chinese character) 网, which means “net”. A good example would be the traditional Chinese character 羅, which is etymologically composed of “a net 网 on top, and some silk 糸 aside, to catch bird 隹”. Such usage is still kept in modern Chinese word 羅網（simplified 罗网）, as in the idioms 天羅地網 and 自投羅網. Another example is 罩. By the way, I have to point out that many native speakers are not able to pronounce many radicals whose pronunciation is given in brackets. Last year I studied Chinese and unfortunately, I was a bit lazy when it came to learning the meaning of the different radicals. Now, I really understand the importance of knowing radicals and their meanings. If you take the time to get to know key radicals, it makes the whole process of memorizing characters much much easier. Great Article ! Thank you very much for your useful information always on this website. As a Japanese learner I am really learning a lot from your page. Especially articles that have to do with Kanji in general or language learning in general are very useful to me. I had a question to which I have not been able to find the answer for a quite long time. Do you know any type of linguistics literature in which the ethymology of the Chinese radicals is explained? 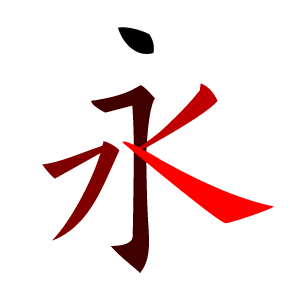 For example the radical 方 is a quite interesting one, because it can mean square or raft. Maybe it is just me, but to me it seems that square and raft are two COMPLETELY different things. However, from the ethymology I expect them to be quite related. I had this with another Kanji radical which is 彳. The meaning of this radical is given as to go, (small) step, to stop, to wait. At first I was of course confused about this, just like in the example of square and raft, two completely different things. In here they seem even to be opposite. To stop and to go seem to be quite opposite to each other. I was thinking this until I researched the meaning of one of the other definitions which was to linger. It means to continue to exist. To stay too long at a certain place. So this means that the radical 彳 has the meaning of going or continuing in a certain existing state, which can be said as going on. So this clarified a lot to me, but I am still quite confused about a lot of the earlier radicals. If you could help me to find a more extensive list with meanings and explanations of the Chinese radicals then that would really help. I have searched for this very long, but I cannot find it. I have updated the link, enjoy! Hi Olle, I created an anki deck of phonetic characters (all the characters in the first table on hanzicraft http://www.hanzicraft.com/lists/phonetic-sets). Even though it doesn’t have audio (it would be amazing if anyone has done a list with audio?!) I thought it might be helpful to other people. See link to downloadable deck below. could you also post an XLS (X) file with your radicals list (with separated columns), please? Thanks for your wonderful website, I got also your book and after reading your reviews, I also subscribed to Skritter and Chairman Bao, hoping to improve my Chinese reading and writing skills (I live and work in China). There is a text file that you could easily import into any spreadsheet program! Thanks, I was only copying to Excel, which was why it would not separate properly, opening and converting made the job well. Thanks for your excellent job! Thanks! It would be great if Olle could update the link in the text! Are these radicals best learned more or less by rote? You seem adamant that people don’t waste their time trying to study by rote characters that they find particularly difficult, but find a mnemonic or find the radicals in said character, etc. Is there a good system for doing this with radicals? Hard to break down the basic pieces. Rote is okay in this case, but a better way would be to study their origins. These are mostly semantic components referring to the meaning of the character, and they are also pictographs. You can seldom “see” what they mean, but looking at their development can make it easier to remember them! You just gave my what I was looking for. Thanks a lot. You genius!!! What I miss, is whether a radical can be a character of is own, or is only a component and perhaps a shift in meaning from radical to character (like that you mentioned with 厂). I miss the rest of the list too. To take your bird example. 鸟 is an important character of his own, but at least when learning 鸡 chicken, one should know the component and if it would be number 120 on the list, the list should reach so far. But perhaps there is a point better to decompose a new character with hanzicraft or characterpop to identify new radicalcomponents, when you reached a certain level and learn the radical at this point. What I really miss, something about the components, that are not radicals. E.g. what is the left part of 那? Is it a part of other characters too or only a 那-thing? Which are other important components, perhaps composed of two radicals? Hi Olle, I want to thank you for all the work you do to help people around the world to learn Chinese, I just ordered your book and I can’t wait to have it in my hands and start applying the principles written in it. 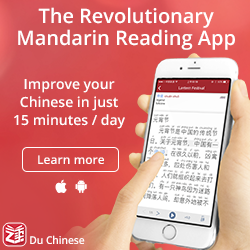 I also just started using this list to learn radicals with Anki, I would like to customize and publish a new version of the list with new styles, audio, and tones marked in the pinyin pronunciation, I think I can learn better that way, also I could install the updated list in my phone thanks to the Anki web. Is okay with you if I publish a list based on yours? I would recognize you as the original author for sure! Once again thanks for the work you do. Glad you find my musings helpful! Yes, you’re welcome to create a list, but please link back to this article.